Leaseir AHR, as MHR, gives great comfort to the user thanks to a practical design based mainly on handpiece ergonomics and a pedal that offers simplicity and is easy to use. 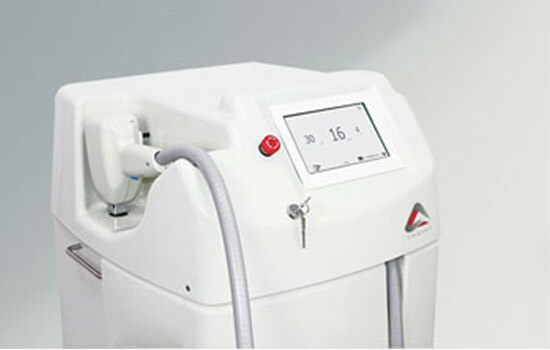 Leaseir AHR is able to treat a wide area of body surface at 4Hz, maintaining laser tip temperature around 0ºC, with fluencies and application modes recommended in original clinical studies. AHR takes care of customer comfort with the CONTINUOUS MAX COOLING, the hard chrome-copper tip has a high specific heat and a high absorption capacity of calories due to its high thermal conductivity.